The glazing has been installed and the cladding of the façade is nearly finished. 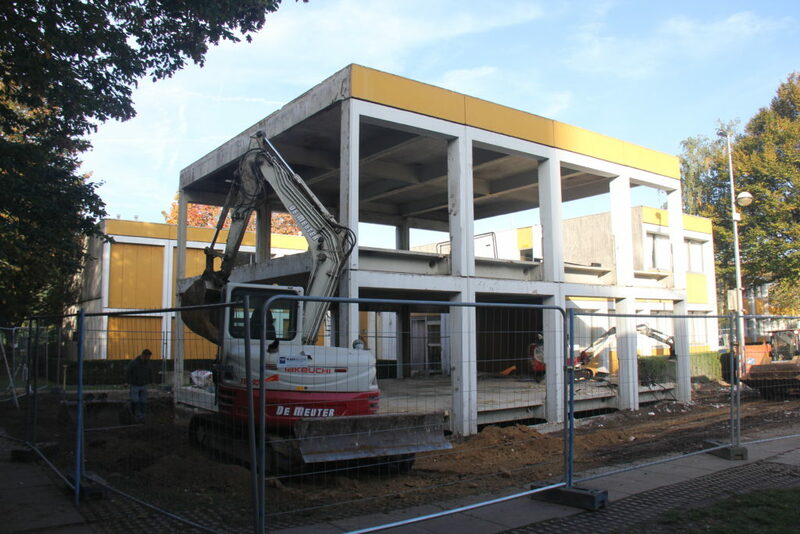 With its yellow colour, the Circular Retrofit Lab starts to blend in nicely with the neighbouring residences on campus. 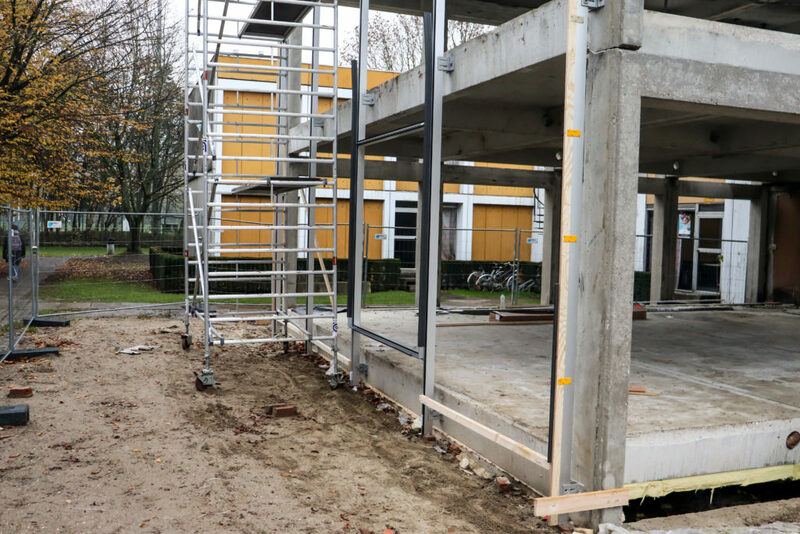 Here is the result from when Kanaal Z came by our campus to shoot a video about circular construction and the Circular Retrofit Lab. The video is also featured in a series on circular economy. Description: The pipes for the heating are installed underneath the dry system floor, which allows maintenance and replacement. Other services are installed in cable trays on the ceiling or in the demountable plinths. While the façade is being finished and the installation of the interior systems is being prepared, the services are coming along nicely. All are integrated reversibly in the raised floor or demountable wall systems. It’s getting cold outside. Time to finish the façades! 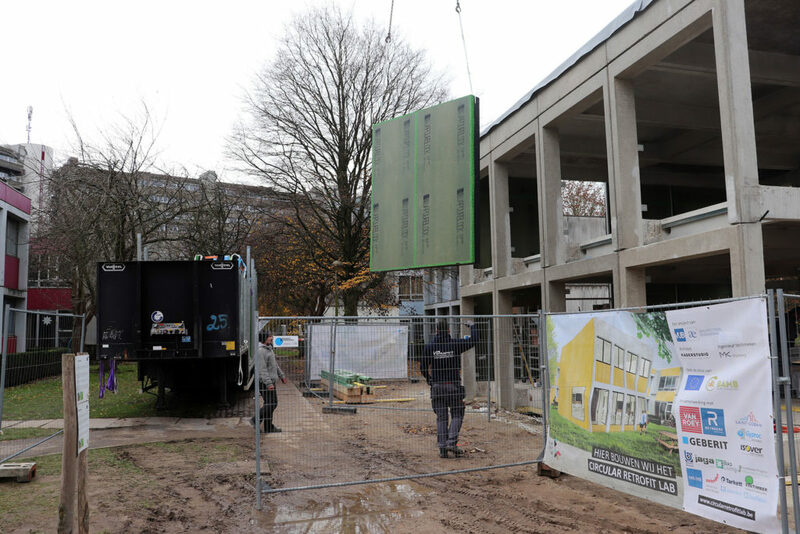 We’re installing yellow cement fibre panels on the prefabricated façade elements. A contemporary twist on the colourful concept of the VUB student houses. 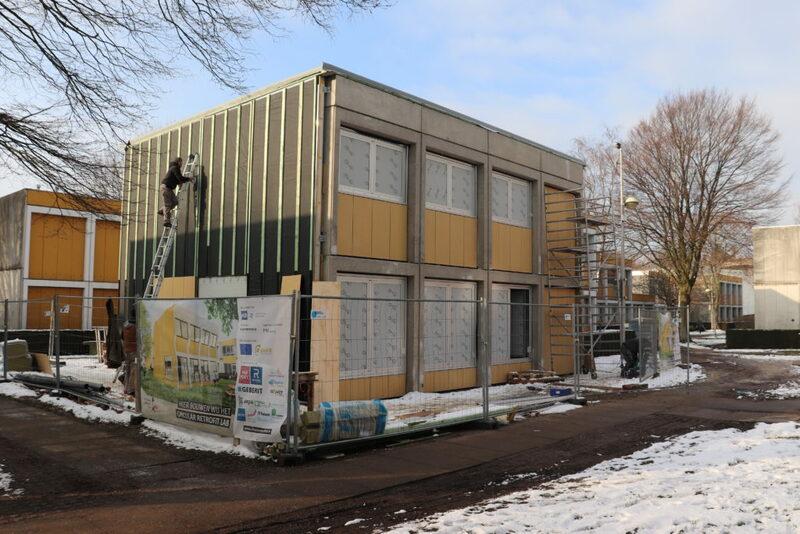 In only two days the whole façade of the Circular Retrofit Lab was assembled. The whole envelope is being made water and airtight now so we can start the technical and interior works. All the façade elements were prefabricated following the modularity of the conrete structure. Window frames are integrated, simplifying the process even more. The façade elements have arrived and are being assembled with a big crane. 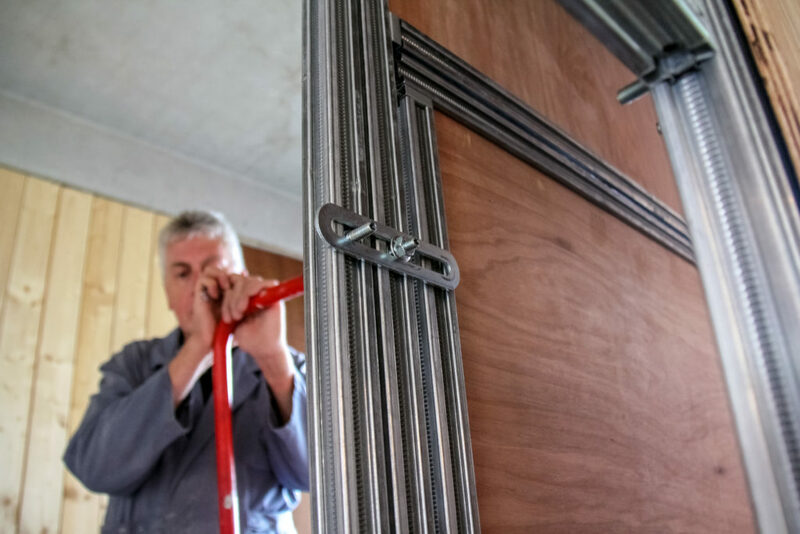 The prefabrication and assembly with simple bolted connections speeds up this process immensely. 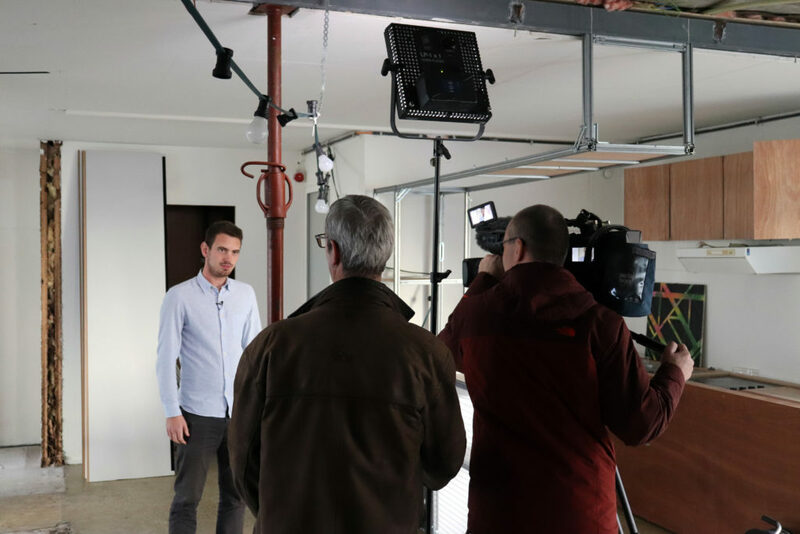 This week, a crew from Kanaal Z came by our campus to shoot a video about circular construction and the Circular Retrofit Lab. The video will be featured in a series on circular economy. Keep following this blog to see the result! The past days, Reynaers Aluminium installed the profiles for the side façade. 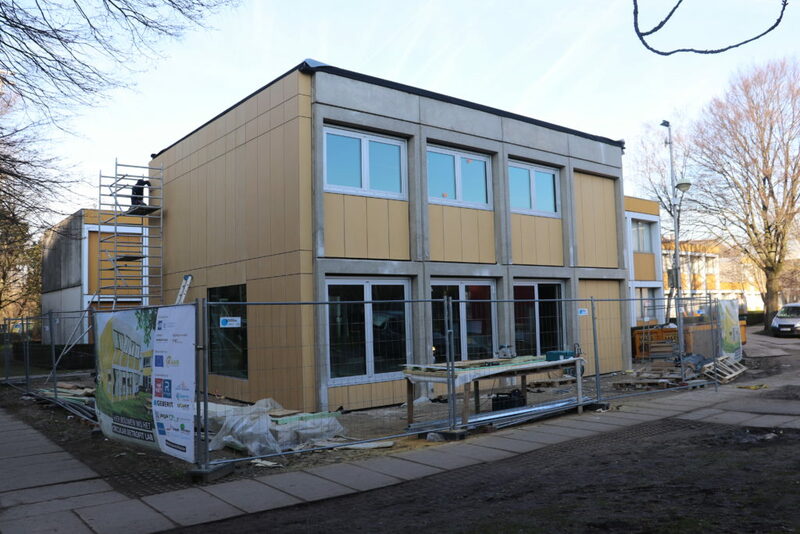 Next week the prefabricated façade modules will be mounted. This view will be changing quickly from now on. 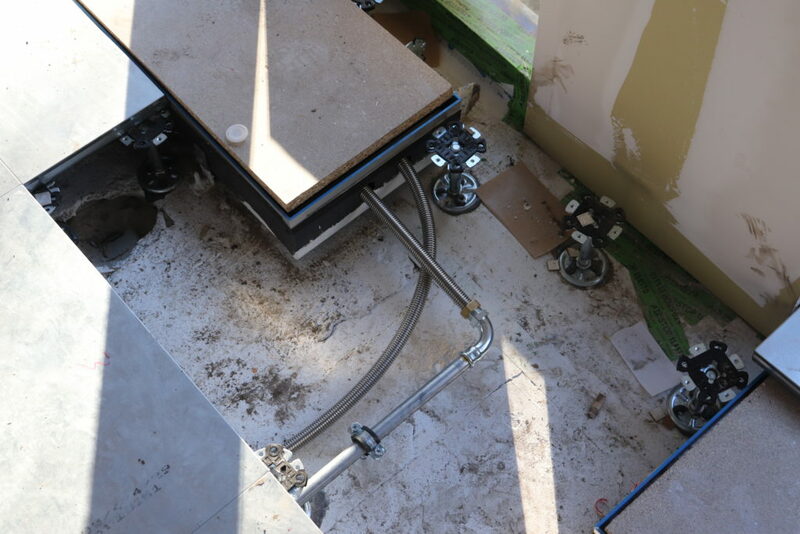 A third wall system that we have prototyped for the Circular Retrofit Lab is based on the Geberit GIS system. 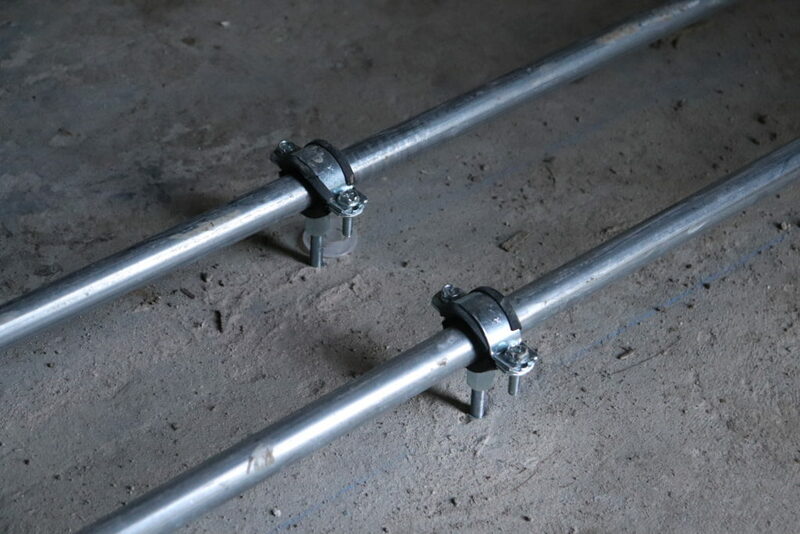 The steel profiles can easily be assembled into various configurations, just like a meccano kit. One of the walls we tested in our lab is the JuuNoo system. Thanks to its light and adjustable frame and velcro connections it can be easily installed and quickly (re-)moved. And all this within a circular business model! 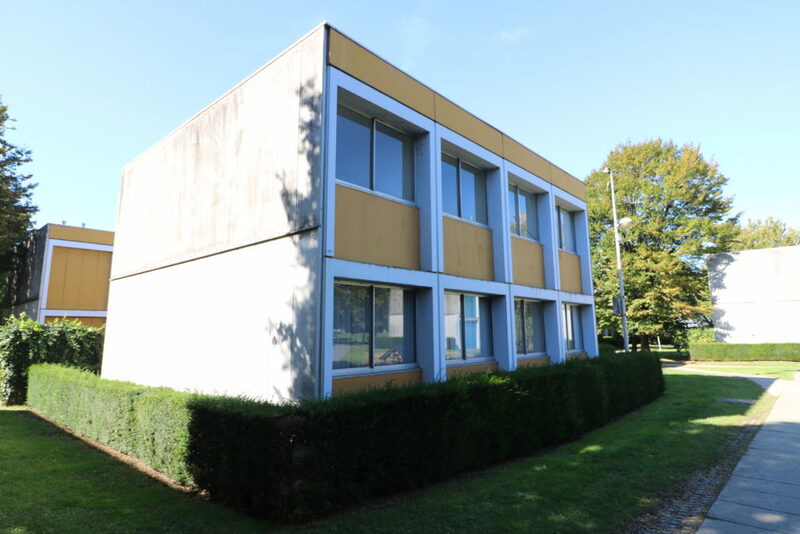 Through constructive partnerships the Circular Retrofit Lab project involves a wide range of buildings actors. Last week we had an important planning meeting to discuss the progress of the project with them. In our test lab we prototype many different internal wall systems. 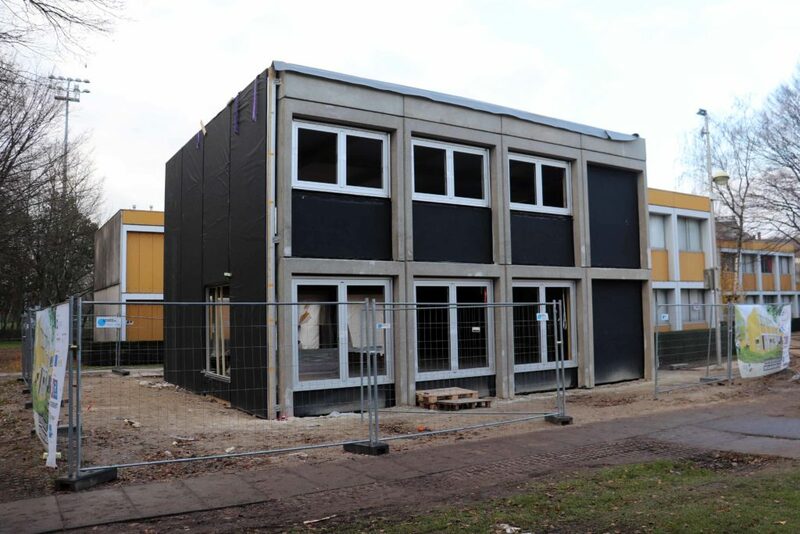 These prefabricated wall modules from Saint Gobain are fireproof and acoustically tested, and can easily be constructed and removed. 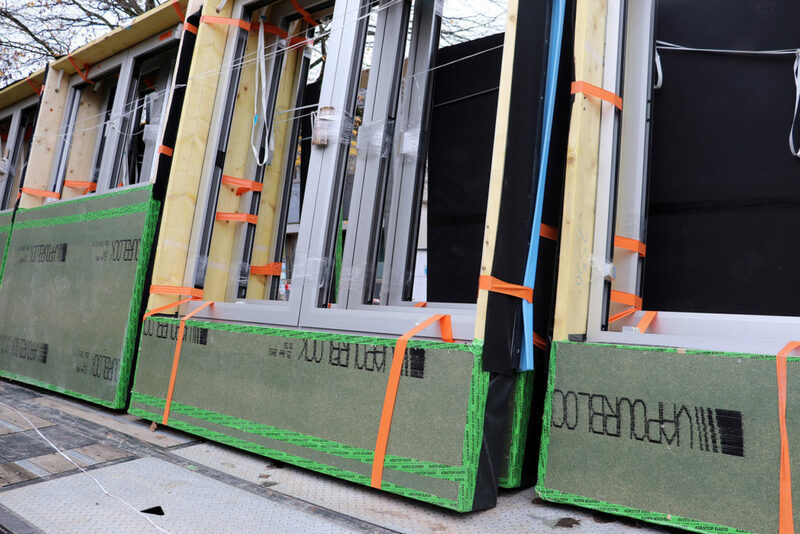 Before using them in the Circular Retrofit Lab, we tested the developed façade solution on another deconstructed concrete module. 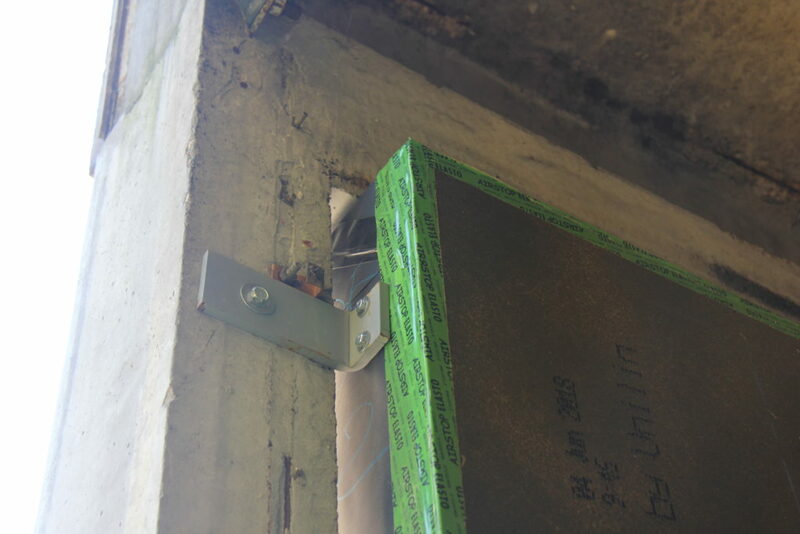 The wall panels are completely prefabricated and can be attached at the inside of the structure with reversible connections. 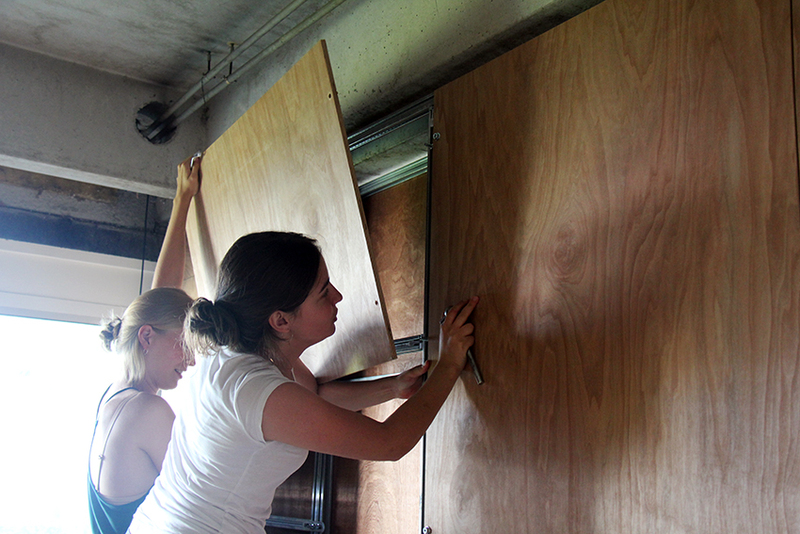 The modular concrete structure of the student houses is a perfect canvas for an adaptable building. The demolition works have been successfully completed, reconstruction will start soon. Together with the students in Architectural Engineering at VUB we opened the academic year and our pop-up event space in the CRL testlab. 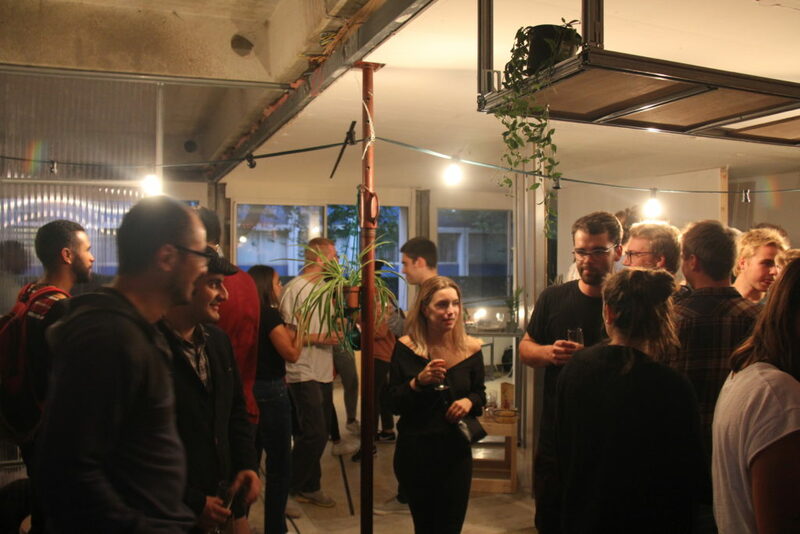 The transformed space was the ideal location for a reception and exhibition with student work. This is the messy part. 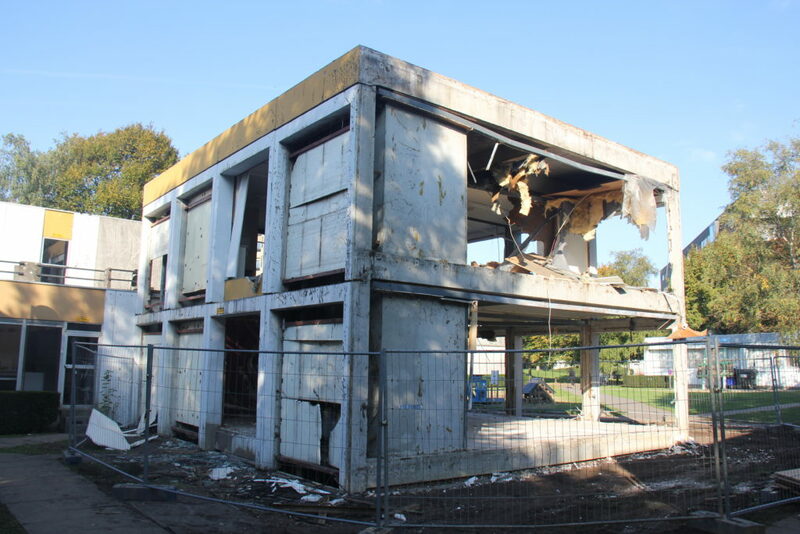 Demolition works have started to uncover the modular concrete structure of the old student houses, which are in bad shape. With circular building, these images will hopefully soon belong to the past. 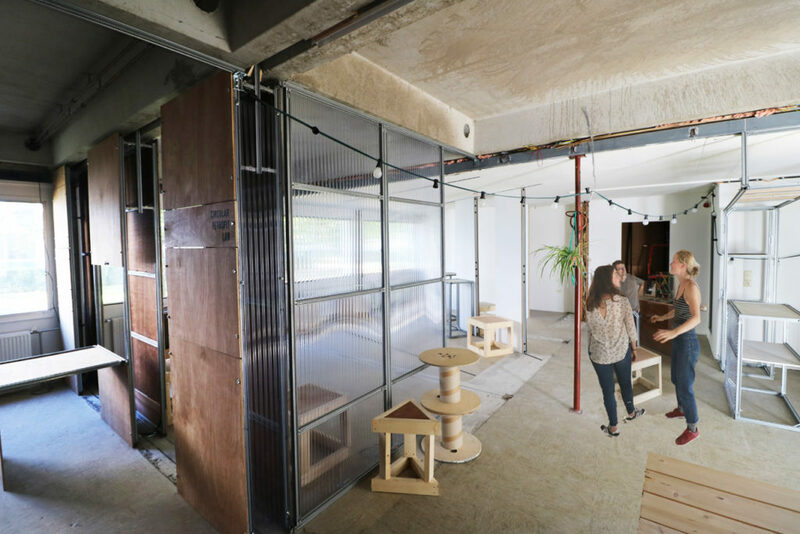 During a workshop, to transform the CRL test lab into a dissemination space for circular building design, international architectural students were invited to dismantle, reuse and reassemble reversible solutions into new spatial configurations and functions. 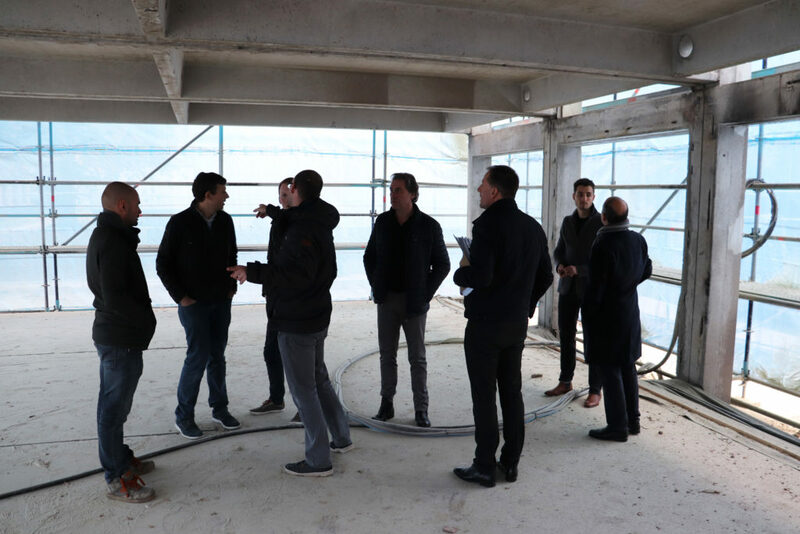 In preparation of the circular renovation works of the CRL modules, experiments have been taking place during the last year in a test lab, identical to the future space. Today, this lab is being transformed into a circular event space to demonstrate the developed reversible wall solutions. 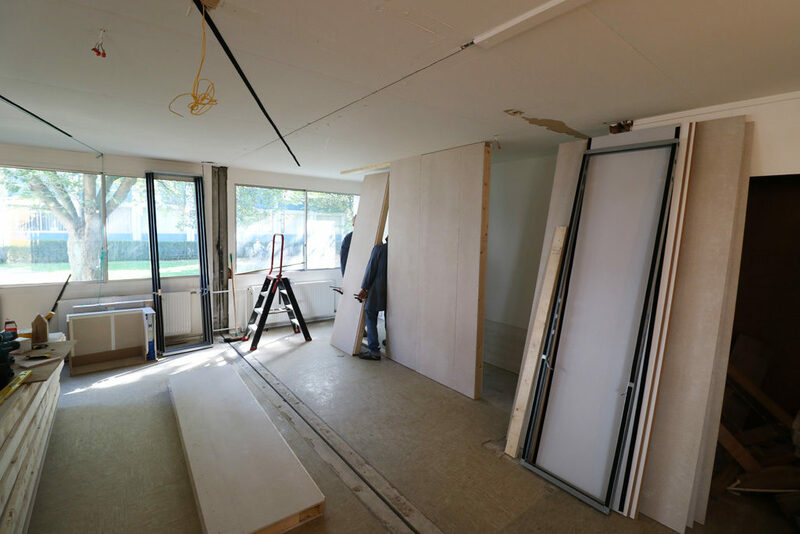 The Circular Retrofit Lab is a circular renovation project of a series of modules of the iconic student houses by architect Willy Van Der Meeren on the campus of the Vrije Universiteit Brussel. Enjoy this view, because we start deconstruction very soon! Start of great team work! 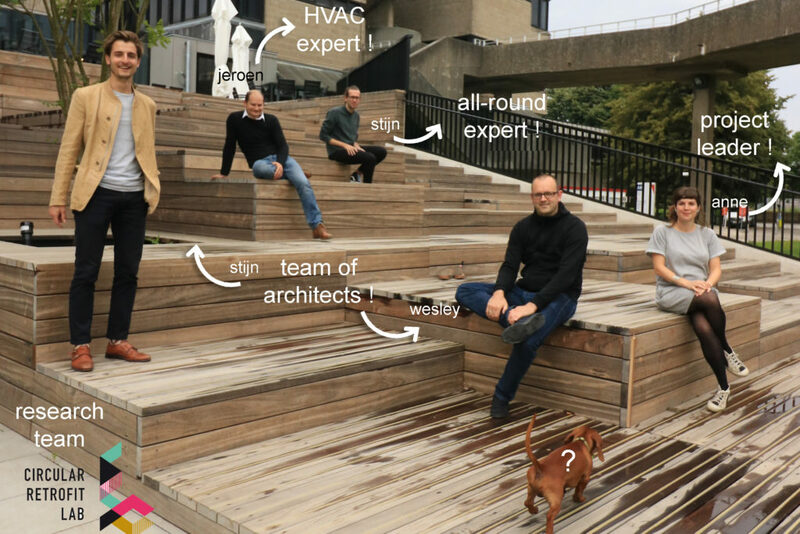 The CRL pilot project is the result of hard and long work of a team of architects, engineers and researchers of the Vrije Universiteit Brussel!